Sharyn used 4 sheets each of 4 different colors of cardstock. She die cut 2 sets of the leaflets from each sheet of card stock - ladies, that's 192 leaves in all!! Look closely and you will see that she scored each leaf where the veins would be on a natural leaf - what wonderful detailing! She used a styrofoam ring for the base of the wreath and hot-glued each leaf on individually, then added the finishing touches of red apples & a plaid bow. I love this project - it is so beautiful and creative, and it also demonstrates the versatility of this die set. 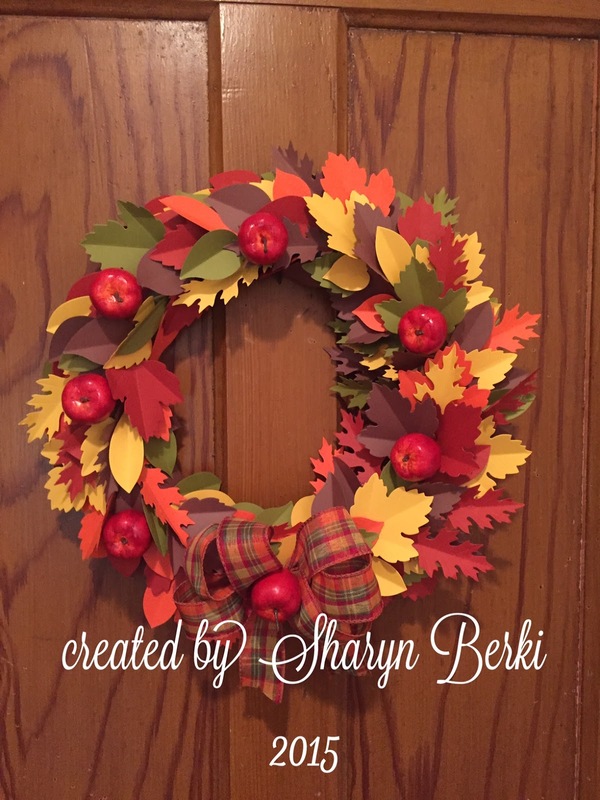 Sharyn, thank you for sharing!